Proven in a wide range of indoor and outdoor events, Layher grandstand platforms provide enhanced capacity and optimised viewing capability, and can be used in conjunction with other appropriate Layher Event systems. Grandstand platforms can be built with or without seats, allowing either free-standing or fitted options to be specified. The addition of a choice of seating systems, access stairways and ramps and, where appropriate, temporary roofing enhances each grandstand installation design to produce highly effective solutions for the customer and a high quality experience for the user. Whether located outdoors or indoors, the Layher range of temporary seating offers economic use, versatility and comfort. 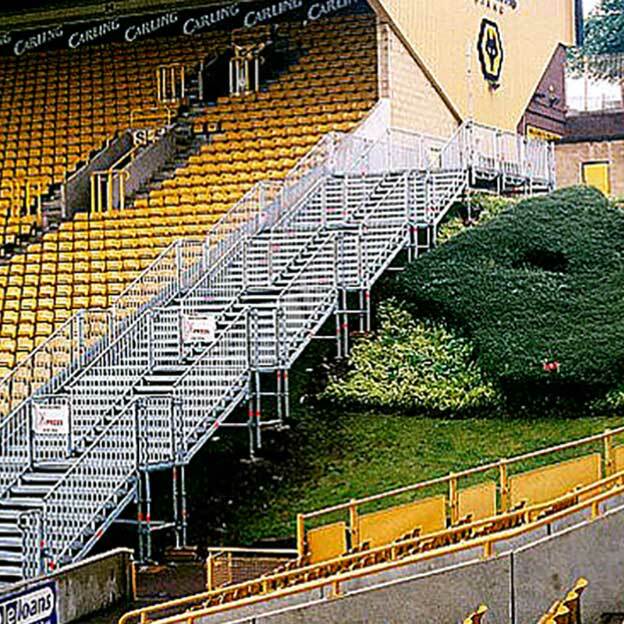 Designed to work in conjunction with Layher stages, platforms and access stairways, the full range of temporary seat installation needs can be met with proven equipment. Range options – including benches, which produce maximum capacity, to bucket and folding seat designs – means there are virtually no restrictions on comfort, dimensions or location. We can point to a vast number of successful temporary, semi-permanent and re-useable seating projects worldwide. 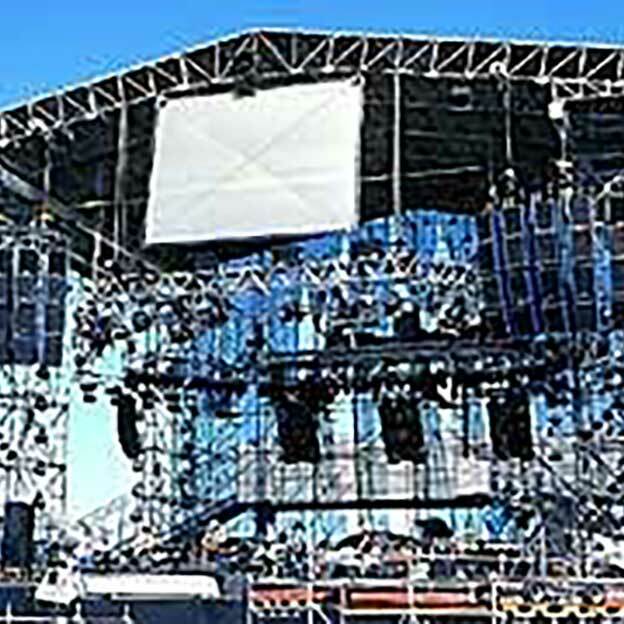 Platforms and stands provide proven and optimised facilities for concerts, shows and sporting events worldwide. Uneven and difficult ground conditions can be accommodated whilst spectator access systems and seating modules can also be incorporated when required. Virtually limitless options exist both to extend laterally and also to accommodate a variety of roof and support systems. With ease of assembly and dismantling into palletised units for simple transportation, Layher staging systems offer benefits that will be widely understood by everybody in the event management industry. From access and wheelchair ramps to those designed for event uses – such as skiing or snowboarding – all can be constructed using standard Layher Allround® equipment. A choice of angles can be specified while installations can be designed to fit shape, length or space limitations. 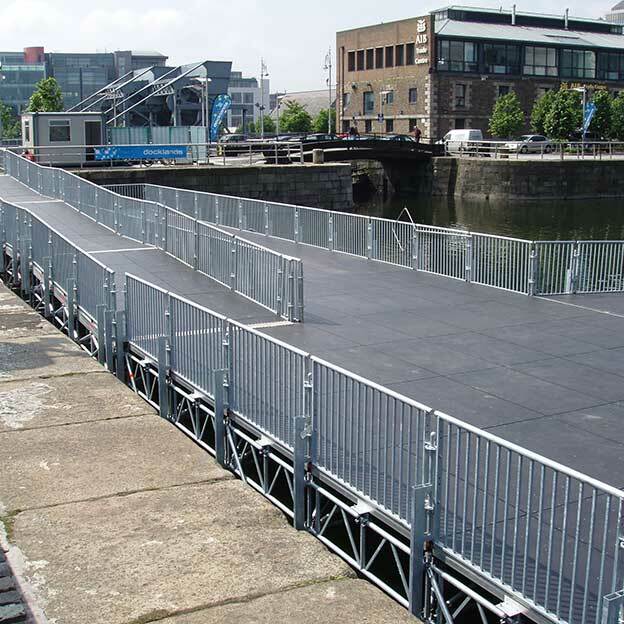 With the added benefit of a range of accessories including guard rails using Allround® ledgers and child safety devices, the opportunities presented to those in the event industry by the Layher Ramp range are extensive. 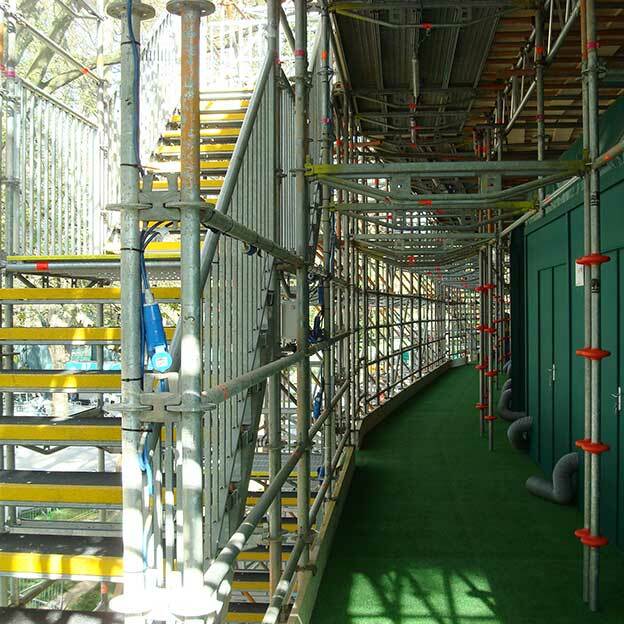 Site and public access stairtowers can be specified to complement the Layher staging and seating range. Up to eight different options are available which can offer either 1.5 or 2 metre lift heights in a variety of widths to suit a wide range of internal and external site requirements. In all cases, the range is designed to offer an optimum combination of ease of handling, installation and dismantling while providing a user-friendly, safe means of achieving crowd movement in a wide range of entertainment and sporting environments. 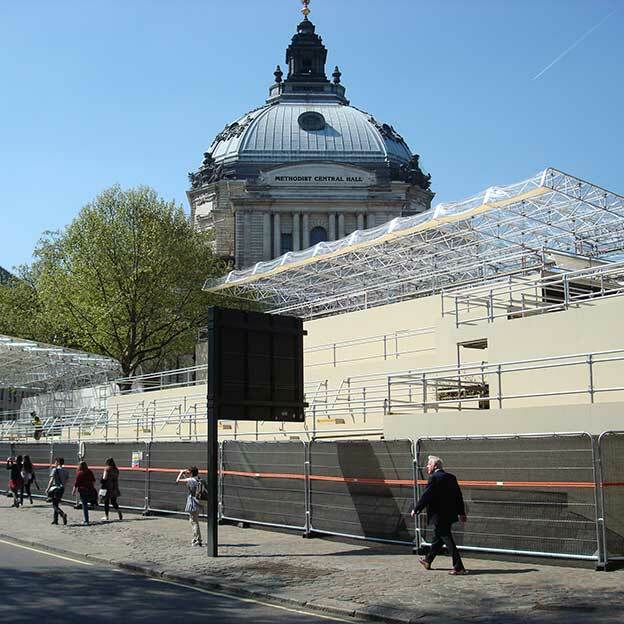 Spans can be up to 18 metres while construction can be in-situ or at ground level for craning into position, while a choice of optional fittings includes steel or event decking, Layher ‘Protect’ panels, childproof guardrails and temporary roof sections. As a result, clear benefits – almost irrespective of terrain and pedestrian traffic requirements – can be readily achieved. 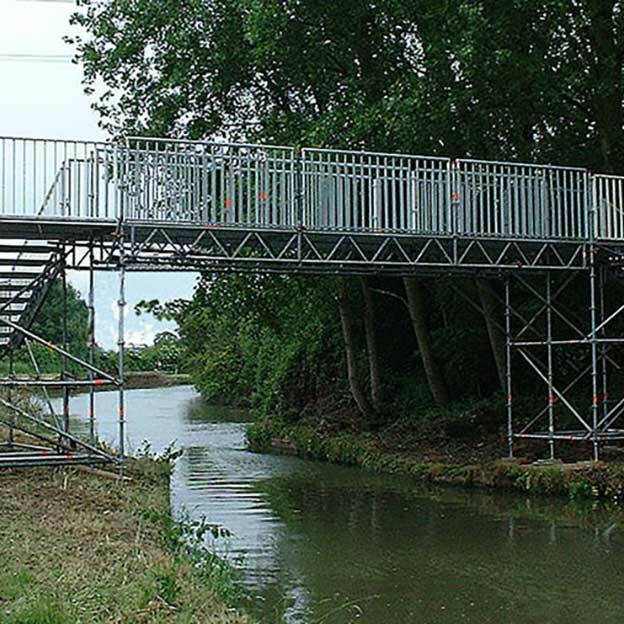 When used as a support girder, installations such as podiums, roof structures and even suspended scaffolding can be installed, significantly enhancing the versatility of the bridging truss design – of particular note to all customers involved in the event sector.